When the concept and game play aspects of the original Assassin’s Creed were announced a couple of years ago, I expected myself to be glued to the TV for hours on end after its release. With amazing visuals, a unique storyline, a medieval setting and fluid game play, Assassin’s Creed set a different standard for sandbox games. While the title had its flaws, the core concept certainly left its mark. The ability to swiftly run over rooftops and stealthily execute unsuspecting individuals using medieval weaponry combined with the overall look and feel was something never done before in a game. The release of Assassins Creed II last year was an attempt to remake the original’s concept and fix any issues it might have had. The result was a sequel with much greater depth than the original. Ubisoft is now hyping up the latest installment in the series, Assassin’s Creed: Brotherhood, which looks to be quite the trendsetter itself. The first game is set during the Third Crusade in the Holy Land and follows the story of an assassin named Altair, while the second game is set in Renaissance Italy and follows a young man turned assassin named Ezio Auditore. In the second game, players had the ability of roaming the streets of major cities like Venice and Florence. The level of immersion the game offered was simply stunning as players could run around and scale every building in sight. 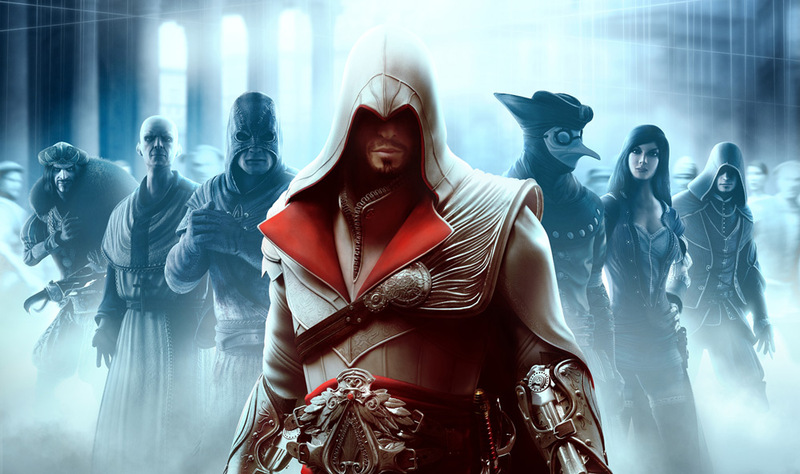 Assassin’s Creed: Brotherhood picks up exactly where Ezio left off in the second game. In Brotherhood, the city of Rome has been recreated from the ground up in its full glory and will be 3 to 4 times more expansive than any of the locations in the other games. As a result, the game looks even more breathtaking than its predecessors. 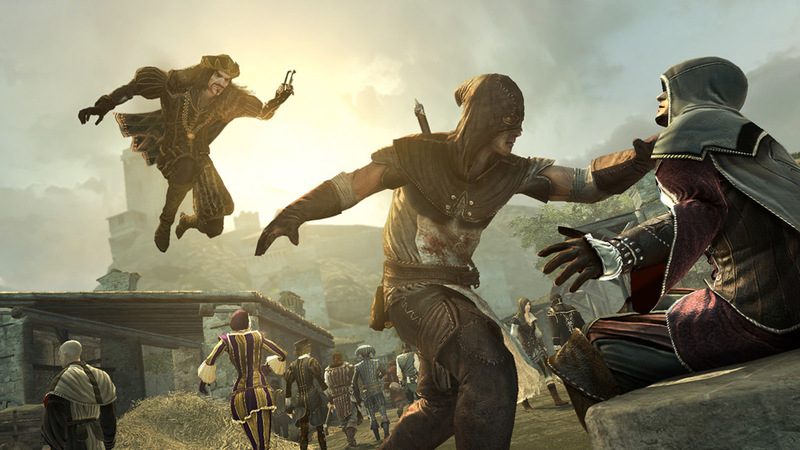 One of the complaints about the original Assassin’s Creed was the sluggish nature of the combat system. 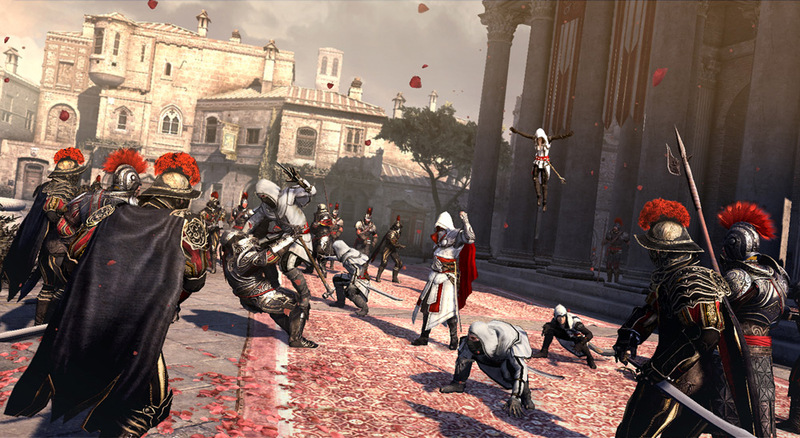 Some of those complaints were addressed in Assassin’s Creed II, and combat took on a faster more visceral feel. Brotherhood will continue on those improvements by expanding the combat system even further. Due to the massive size of the map, Ezio’s horse will play a vital role in his exploits, meaning that a whole new horse combat system has been introduced. Players will also be able to choose from a variety of new assassination methods and weapons. Instead of relying heavily on counter-attacking like in the first two games, Ezio will now have faster striking capabilities. As a result, enemy AI has been significantly refined, adding a new pace to combat. There are also new enemy archetypes that users will have to tactically adjust to depending on the situation. While the single player is definitely something I’ll be looking forward to, it’s really the multiplayer that has got people excited about this game. Even though multiplayer is an unusual addition to a game as story-driven as Assassin’s Creed is, there’s been a good deal of buzz around it after it was heralded as Best Multiplayer Game at E3. There will be a variety of different multiplayer modes to choose from, with the only one known currently being called “Wanted.” The objective of this mode is quite simple. 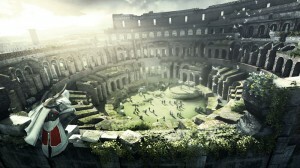 Six to eight players will be dropped onto a map where each of them must try to kill each other. Although it sounds like a standard death match, it’s actually more like a cat and mouse game. Each player will be assigned a target player to assassinate and must do so without being assassinated by the player targeting them. Players will be able to use the environment to hide from their opponents just like in the single player. This should add an interesting dynamic to the game as the concept of sand box game play will still hold. On top of the free nature of the game, players will be able to level up their characters and unlock many different maps, items, etc. This level-up type of game play should ensure that the multiplayer feature doesn’t get boring too fast. Even though Assassin’s Creed: Brotherhood picks up where the previous game left off, there are certainly many new things it has to offer. I don’t think, however, that the overall single player experience will be too different from previous games. It will probably contribute to a more complete game instead. On the other hand, I do see the multiplayer bringing something completely different to the picture. As of now, there’s only information regarding one game mode, leaving seven more without explanation. Unfortunately, we’ll have to just wait until November 16, when Brotherhood is released for PS3 and Xbox 360. Until then, Ubisoft has left us with enough breathtaking glimpses of Brotherhood to drool over. looks like gr8 game…….can u list more such games? ?….and what is da minimum pc configuration required for each of them? ?